Caption Contest 170: Action Pose! Hey, everyone! Monday is here, and it brings with it a brand new Zelda Dungeon Caption Contest. We’re only two weeks removed from E3 2018, and the ZD team is still coming down from the high of Super Smash Bros. Ultimate‘s showing at Nintendo’s live event. 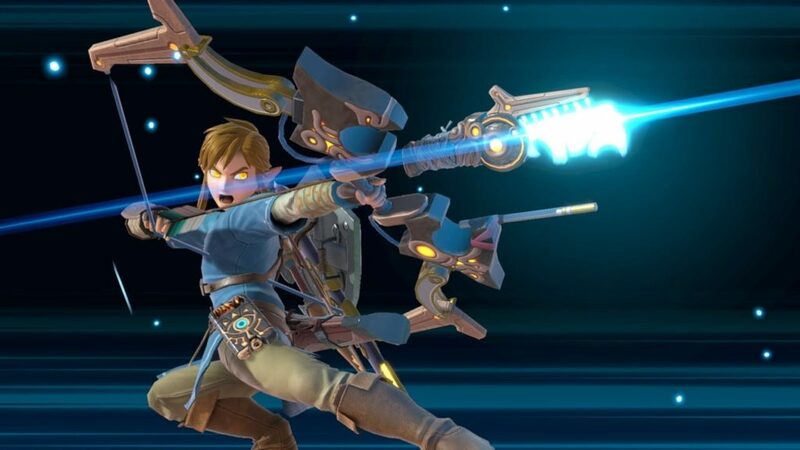 There was just so much cool information revealed — we had a lot to cover on the Zelda content alone — including new fighters, echo characters, visual redesigns, and moveset tweaks. Last week’s Caption Contest actually highlighted Princess Zelda’s new look in Smash Ultimate, and our contest this week takes a look at Link’s new and exciting Final Smash move. I’m still holding on to the hope that Hilda will be announced as an echo character. Dylan: Zelda: the Meme that saved the ultimate Smashbros-Verse!! Link should get those eyes checked out. They shouldn’t be that color.